Some leaders seem to think that as long as it is good for business, it is good for everything. Even when it damages people and Nature. 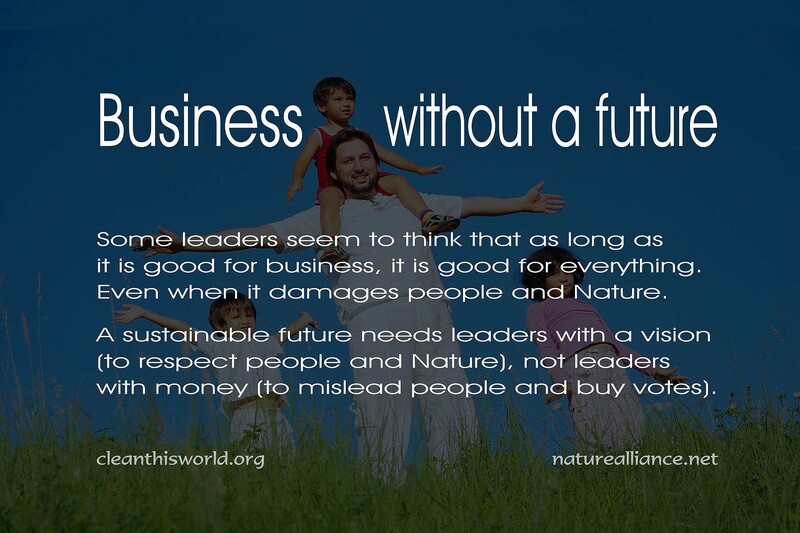 A sustainable future needs leaders with a vision (to respect people and Nature), not leaders with money (to mislead people and buy votes).